Cheap White Poker Chips - 100 Ct.
White Poker Chips - 100 Ct. Perfect addition�to any�casino themed event! Blue Poker Chips - 100 Ct.
Red Poker Chips - 100 Ct. These white plastic poker chips are light weight and easy to stack. 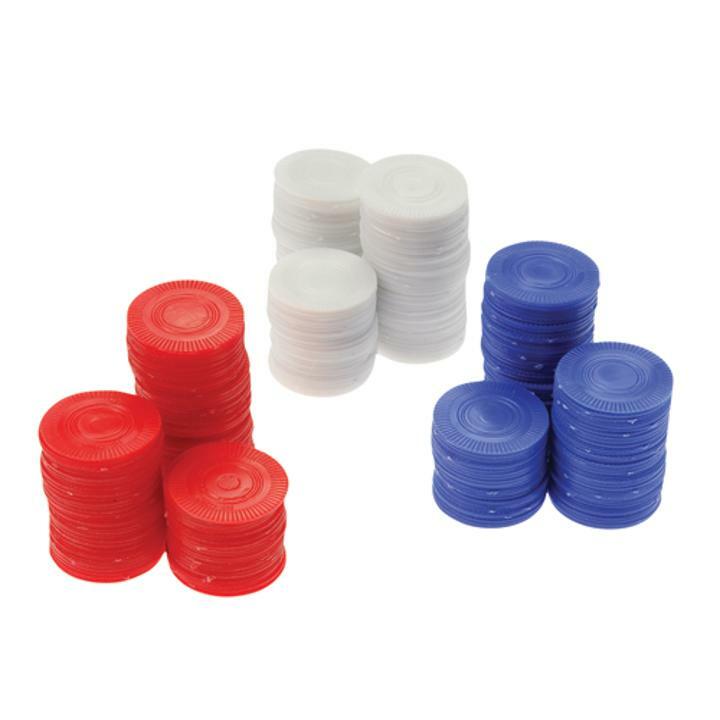 Plastic poker chips are a great addition to your party supplies for any casino themed event. L: 4.55 in. W: 1.3 in. H: 6.3 in.